Since this is my eighth TCM Film Festival, I’ve come to expect certain things. I always love the excitement and the Wednesday get-togethers with dear friends the night before the festival begins. That won’t change. 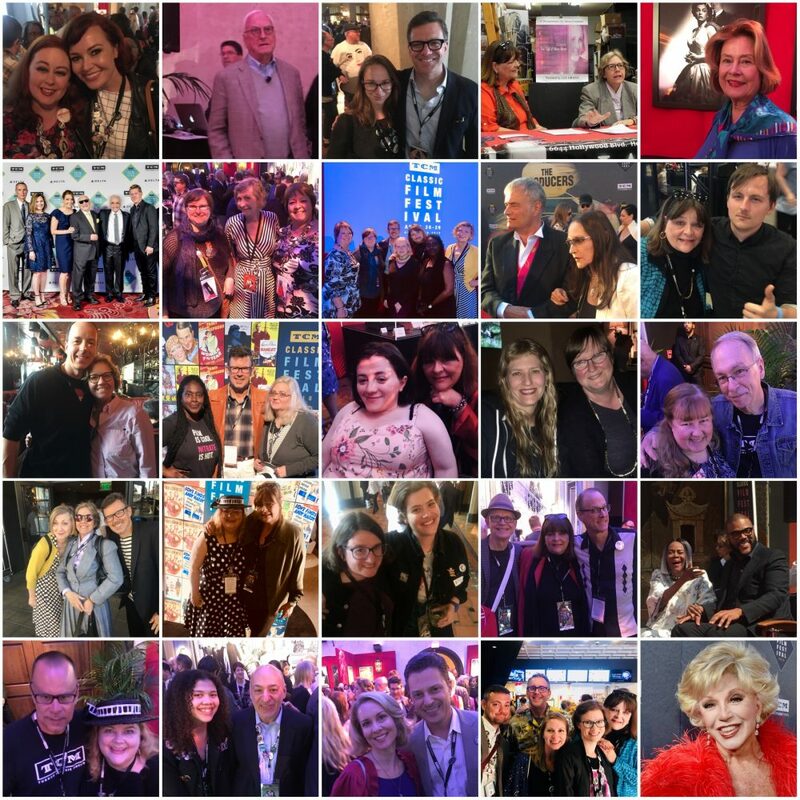 Seeing familiar faces, opening the flood gates on my cinephiliac stream-of-consciousness to dear friends I’ve known since April of 2010, and friends I’ve known even before the first festival. 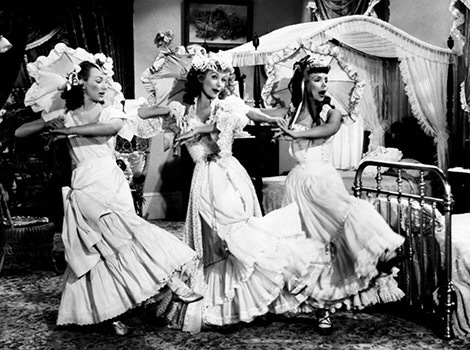 We chatted on the TCM Message Boards and The Slver Screen Oasis. That won’t change, either. 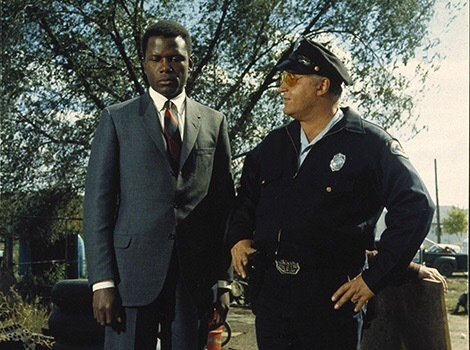 I know I won’t be able to see In The Heat of the Night with Lee Grant, Norman Jewison, Quincy Jones, Walter Mirisch, and Sidney Poitier in attendance, and I would have enjoyed seeing this ground-breaking film. Since I am credentialed media with many of my fellow writers, bloggers, photographers, and journalists from the Fourth Estate, I am only able to attend events that Classic pass holders have access to. I might be visiting with TCM Film Festival Special Guests on the Red Carpet, or writing about the historic Hand and Footprint ceremony, the first time a father and a son (Carl and Rob Reiner!) will be honored in the forecourt of the TCM Chinese Theatre. Incidentally, the famous theatre was once owned by that flaming-haired actress Rhonda Fleming’s husband, Ted Mann. Fleming will be featured in a 3D presentation of Paramount’s Those Redheads From Seattle with Agnes Moorehead, and Teresa Brewer. I’ll probably be there at the Friday night screening at the Chinese Multiplex 6. My other choice? Laura. Nitrate. ‘Nuff said. I won’t be seeing anything but The Incident Saturday night. Martin Sheen made his screen debut in director Larry Peerce’s UK-banned drama of terrorized passenger on a subway ride from hell. Both Peerce and Bruce Goldstein will be in attendance. Sheen has been dropped from or hasn’t been added to the Special Guest list, so I probably won’t be seeing him there, but he had been previously announced in an email from TCM. (I checked again right before posting this article.) There just might be a special guest or two in the audience. UPDATE: Martin Sheen is listed on the official TCM Schedule as in attendance for the film, but still hasn’t been added to the Special Guest list. Rarely seen performances by Ruby Dee, Brock Peters, Jack Gilford, Martin Sheen, Beau Bridges, Ed McMahon, Donna Mills, and Thelma Ritter make The Incident a TCM Film Festival rarity. What I won’t be seeing is Black Narcissus in nitrate. This conflict on my personal radar last screened at the festival with Thelma Schoonmaker. This season, its the nitrate version. Not sure who will be introducing this film on Friday at 9:30 in The Egyptian. But Black Narcissus is the film where Stewart Granger first spotted Jean Simmons and decided to seek her out. Kathleen Byron is witchy-spooky in this visual feast where Deborah Kerr first dons the nun’s habit with sincerity. I also won’t be seeing The Art of Subtitling, The Awful Truth, David and Lisa, or The Great Dictator, and not because I don’t want to. I am seriously agonizing over this emotional slot in my “fest sked.” I find I am nervously vacillating and dithering over that Saturday afternoon nachtmahr: The Last Picture Show, Rear Window, or the Michael Douglas interview. All the other films I won’t see sort of pale in comparison to the tough choices. Laura in nitrate seems a must. So does Dr. Strangelove, Stalag 17, and The Jerk because I have a family member in attendance for these screenings. Festival presenters, besides the popular Ben Mankiewicz and Illeana Douglas, like author and historian Jeremy Arnold (Some Like It Hot) and author, historian, and documentarian Cari Beauchamp (Red-Headed Woman, The Palm Beach Story, Beat The Devil, David and Lisa, So This Is Paris) make the pre-screening intros fascinating and worth our undivided attention. Australian Alicia Malone is someone I have not seen present at the festival yet, but I predict Dana Delany will be a popular guest for her intro to Love Crazy. There seem to be more historians, preservationists, and esteemed authors in attendance than ever before. Pass holders are fortunate. Fabulous celebrities and special guests make the screenings an exciting event every hour of the long-awaited-for schedule. The most emotionally wrenching aspect of this TCM Film Festival is that we will not see TCM Host Robert Osborne. But pass holders will be able to “group-grieve”and attend a special memorial tribute to the man that gave his passion to his viewers and classic film lovers through his affiliation with Turner Classic Movies. Memorial tributes to Carrie Fisher and Debbie Reynolds have also been planned. It is indeed serendipitous that Debbie Reynolds, who advised Robert Osborne to choose a cable channel hosting position with TCM, and Osborne, who ultimately steered TCM to its 20th Anniversary in 2014, left their fans in the same year. What will I be seeing? The tribute to Robert Osborne on Thursday. Let’s just pretend Debbie and Robert are waiting in the Green Room, preparing their opening lines, and checking their makeup. This entry was posted in TURNER CLASSIC FILM FESTIVAL 2013 by Christy's Inkwells. Bookmark the permalink. I think we have seven in common. Jasmine with be with me again this year but not my wife, Mary. I look forward to hanging out in a couple of weeks. My son will be coming to a few screenings, too. He’s a standup comedian in the LA area. We’ll have to introduce the kids! I’ll bring the ping pong balls. No waiting for tournament time! Hope, no one steps on the ping pong balls, That would be just ghastly.